All Vanaire PVC, Fiberglass, and Dual Laminate Centrifugal fans are AMCA Certified and come in sizes of up to 70,000 CFM. Contact Vanaire today to order our high-performance Centrifugal Fans and Blowers. Consult our engineers for custom solutions designed specifically for your facilities. 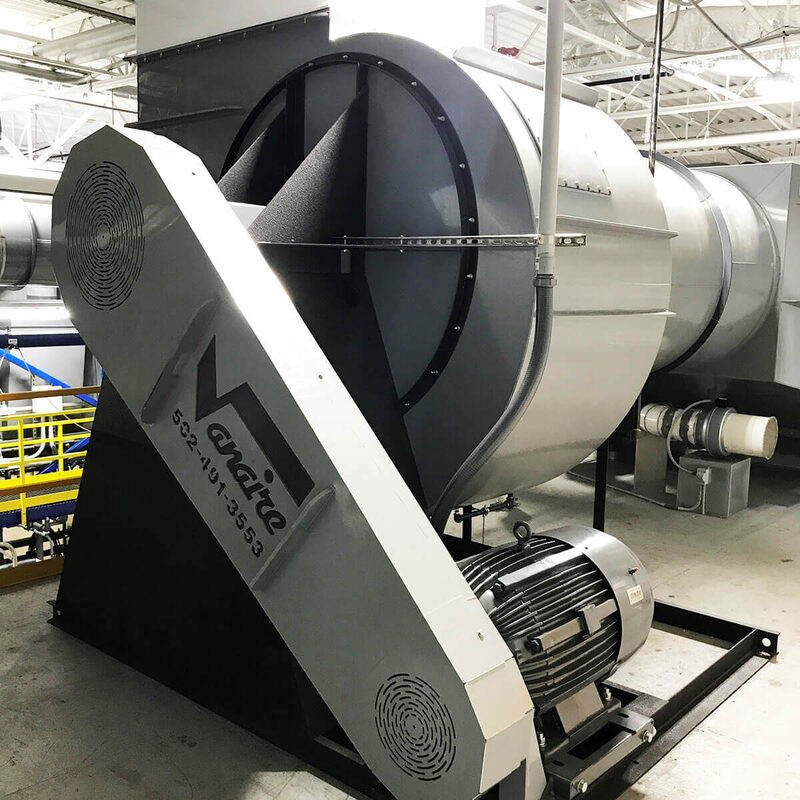 Designed to deliver high blowing performance in the most abrasive industrial environments, Vanaire’s corrosion-resistant Centrifugal Fans and Blowers be built from Fiber Reinforced Plastic (FRP). This extremely durable housing prevents caustic air from corroding the Fan and Blower System. 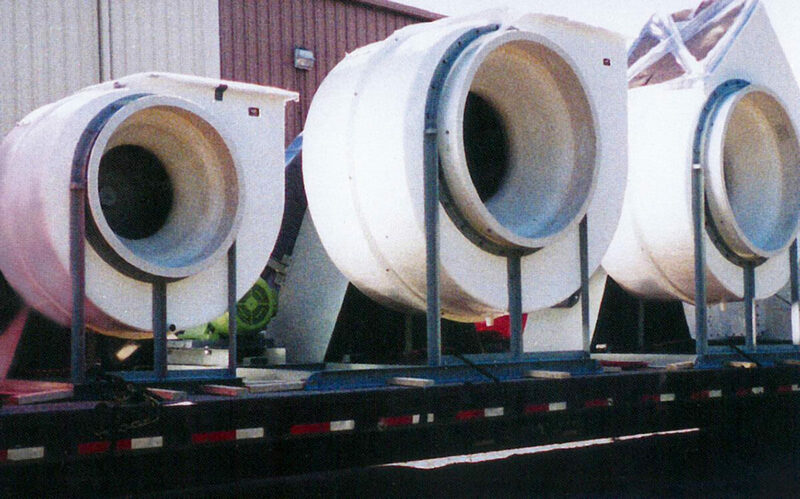 Vanaire designs and fabricates corrosion-resistant PVC Centrifugal Fans and Blowers for a wide range of industrial and manufacturing applications. Our engineers are highly skilled in using Polyvinyl Chloride (PVC) plastics to create Fan and Blower Systems and other Ventilation Solutions. PVC is a non-toxic, durable and lightweight material that boasts of high-tensile strength, all while being a relatively affordable material.